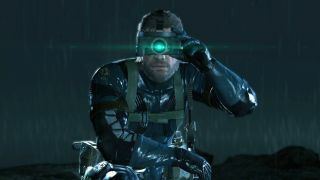 In another small blow to the Xbox One, Konami has confirmed that Metal Gear Solid 5: Ground Zeroes will run at a native 1080p resolution at 60 frames per second on the PS4 but just 720p at the same frame rate on Microsoft's rival console. A spec comparison piece published by Konami compares the differences between the PS3, PS4, Xbox 360 and Xbox One version, and confirms that Ground Zeroes is the next game to perform better on PlayStation. Meanwhile the PS3 and Xbox 360 version will run at 720p with internal scaling, both at 30fps. Hideo Kojima, the game's creator, has openly said he believes the PS4 to be the better console, offering 1080 rendering at 60fps "with room to spare". "I think, between the home console available in the domestic market, the PS4 is the best," he told Famitsu. "Since it does it a little better than other hardware, the image quality of the PS4 is the most beautiful. It's the closest to the photorealistic quality we are aiming at." But do the differences really matter at all?